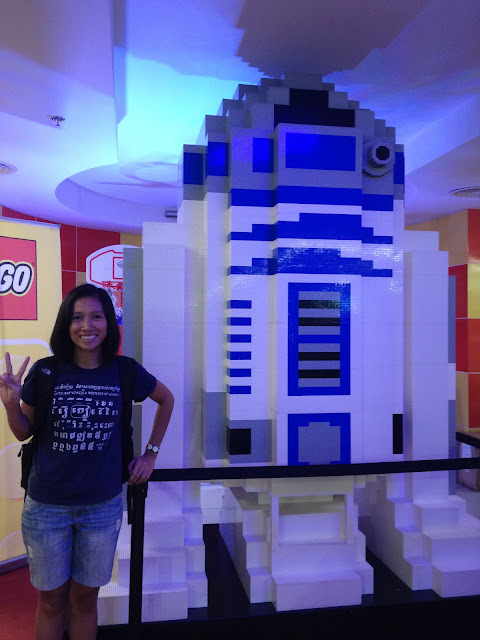 I Found the Droid I'm Looking For! Well at least the other half of the great droid duo that was Threepio and Artoo. 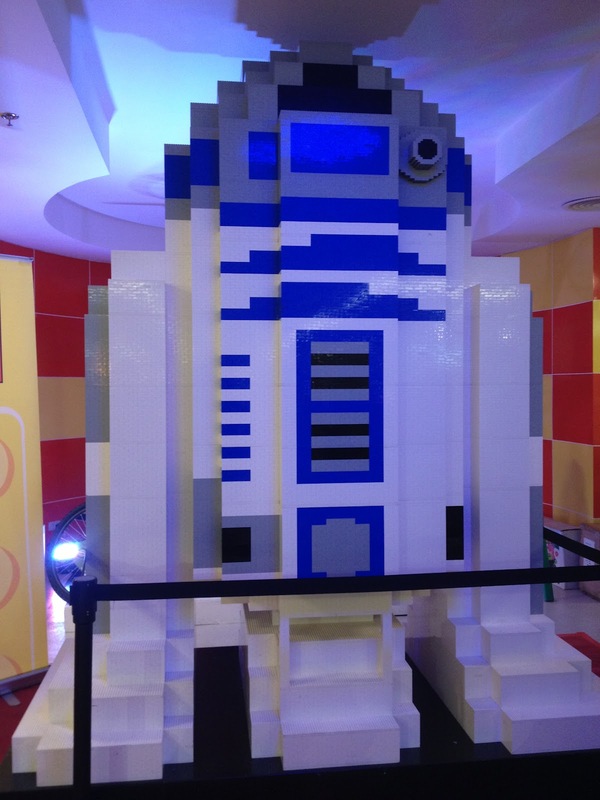 This is one MASSIVE R2D2 made from Lego bricks! Also a combo of my two loves, Lego and Star Wars. If you can't fathom its enormousness, allow me to be your visual scale (if the lego display kissing the ceiling still ain't convincing you that is! ).